You can help give voice to the bears on Giving Tuesday, November 28. Thank you for supporting our work on behalf of the bears and their habitats worldwide. This year, you helped us to remove bear attractants from residential areas, provide free bear safety and ecology programs to students and communities, release a documentary film, and provide partial scholarships to help at risk youth participate in our polar bear ecology field course in Churchill, Manitoba. Thank you. Support bear conservation today with your donation. There are many ways you can support our work. Join a global day of giving today on Giving Tuesday. >>Give a gift membership. This makes a unique, feel-good gift for the bear-lover in your life! >>Sign up for a field course in polar bear country. All proceeds directly fund our conservation projects. Treat your loved one to an adventure on Hudson Bay, watching polar bears in their natural habitat! >>Do good with your online shopping by using the Goodshop platform, and choose Great Bear Foundation as your charity, to raise funds with your purchases. 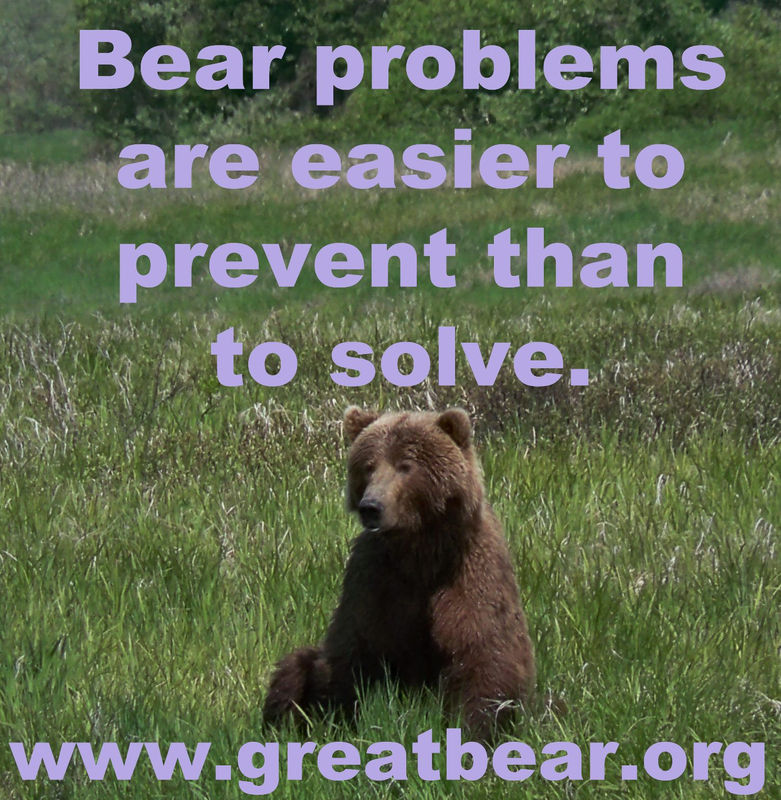 For Amazon purchases, use Amazon Smile and choose Great Bear Foundation. >>Purchase a limited edition giclée print from the Solar Bear series by Montana artist, Douglas E. Taylor. >>Shop our online store for unique gifts like a DVD of Walking Bear Comes Home: the life and work of Chuck Jonkel. We have kids’ books, magnets, and more! >>Give the old fashioned way, with a check made out to Great Bear Foundation, and mailed to Great Bear Foundation, PO Box 1616, Haines AK 99827. Your support is the key to our success. Thank you for your generous and loyal contribution to our work on behalf of bears worldwide. 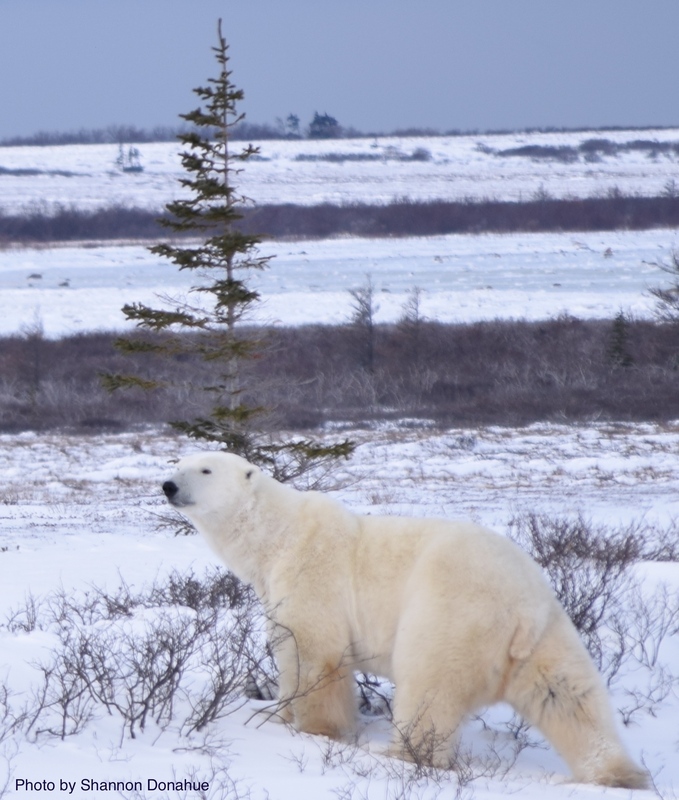 Travel to Churchill, Manitoba with the Great Bear Foundation in 2018 to experience polar bears and other arctic wildlife in their natural habitat. What makes our trips different? The Great Bear Foundation offers the only truly low-impact, conservation-based polar bear programs in Churchill, Manitoba. If you think of yourself as a traveler, rather than a tourist, you love to learn through your travel experiences, and you want to observe wildlife with as little impact as possible, our trips are for you. Great Bear Foundation field courses place the well-being of wildlife and habitat first, while offering high-quality, learning-oriented travel experiences in bear habitat. University credit options are available at no extra cost. 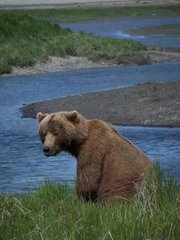 100% of the proceeds from our field courses fund our bear conservation programs. Our summer trip, Berries Belugas and Bears, runs July 31-August 4, 2018, timed for when the beluga whales have their calves in the Churchill River. Take a small boat tour to watch beluga whales, visit historic Fort Prince of Wales, look for polar bears and other arctic wildlife, explore summer tundra covered with berries and wildflowers, and comb the beaches of Hudson Bay, to examine fossils and intertidal life. Learn about the ecology, history and cultures of Hudson Bay with the Great Bear Foundation. 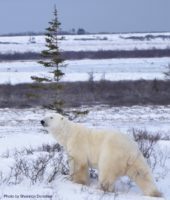 Intro to Polar Bear Ecology, October 30-November 4, 2018, offers a broad overview of the polar bear and its ecology, with a focus on the unique Western Hudson Bay population. Witness the fall polar bear migration to Cape Churchill by day, observing wildlife, exploring the bear’s terrestrial habitat, and visiting cultural sites. In the evenings, we’ll offer educational programs and slideshows, and learn about indigenous culture and history firsthand from guest speakers within the community, and with some luck, watch the northern lights. 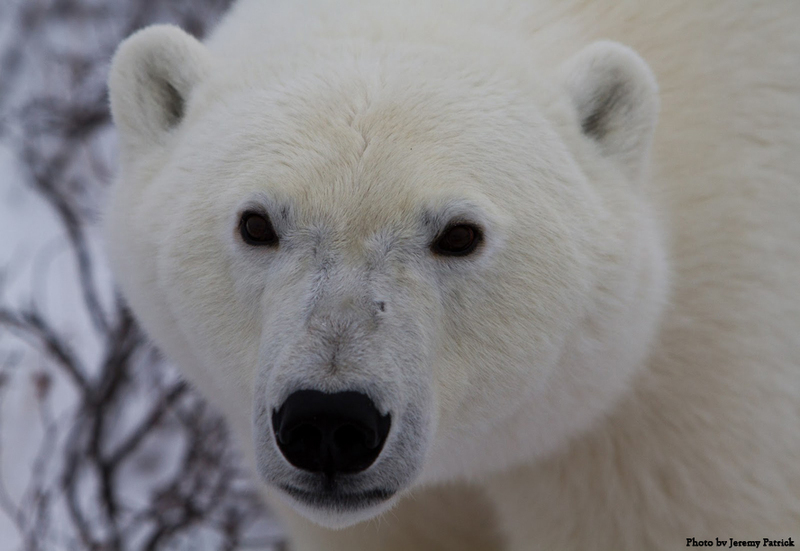 Sharing Habitat with Polar Bears, November 6-10, 2018, explores the world of the polar bear through the lens of how humans and bears share habitat. 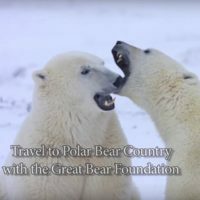 We’ll spend our days exploring the bear’s terrestrial habitat, observing wildlife, and visiting cultural sites, and in the evenings we’ll have programs from Great Bear Foundation instructors and guest speakers, learning about polar bear and human management, indigenous culture, and what we need to do to continue sharing the earth with polar bears. 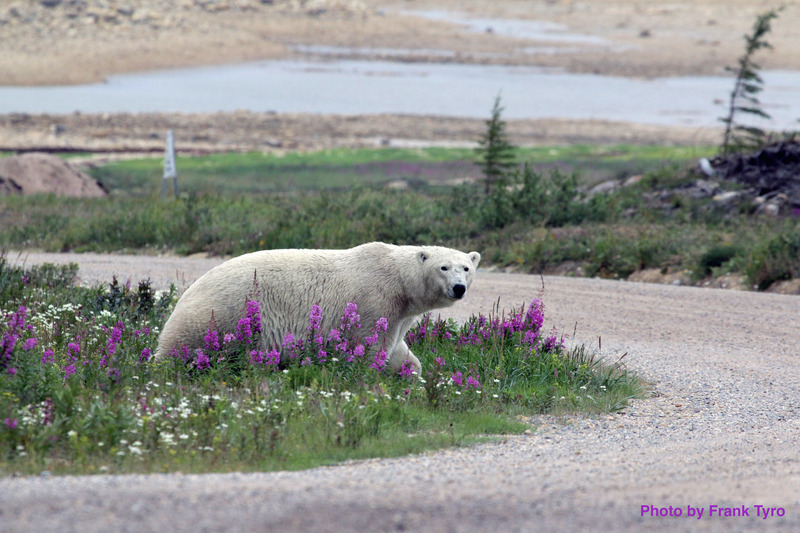 Travel with us to Churchill, Manitoba this summer for our Berries, Belugas and Bears arctic ecology field course, August 13-21! Members save 10% through June 15, 2017! 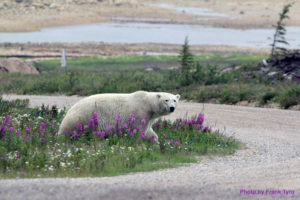 The Great Bear Foundation offers unique, small-group, low-impact wildlife-viewing experiences in Churchill, Manitoba on Canada’s Hudson Bay. When you travel with us, you’ll spend your days in the field, watching wildlife like polar bears, arctic and red fox, arctic terns, gyrfalcon and other birdlife, arctic and snowshoe hare, and you’ll explore the tundra, taiga, and beaches surrounding Hudson bay. Our field courses emphasize learning and conservation, and you’ll learn how to interpret animal behavior to encourage high quality wildlife-viewing and photography experiences with as little impact on the animals and their habitat as possible. Our Berries, Belugas and Bears summer trip to the Arctic is a family-friendly, small group experience. The trip includes roundtrip economy class train travel to Churchill (from Winnipeg, Canora, or elsewhere on the Winnipeg-Churchill line), accommodations and meals in Churchill, a boat-based whale watching tour, and course tuition. Participants are eligible for Continuing Education Units (CEUs) from Salish Kootenai College. Highlights include daily wildlife-viewing, field trips to cultural sites and unique geological features like a palsa field, evening programs on wildlife, photography, local cultures, climate change and conservation, and possibly northern lights! All proceeds directly benefit bear conservation. For 24 hours this week, from 6PM Mountain Time on May 4th to 6PM Mountain Time on May 5th, you can support bear conservation on Give Local Day! For 24 hours only, no matter where you live, your donation can go further by giving through the Give Local platform! As a grassroots, community-based organization, we depend on your support to make our programs possible. This 24 hour giving event harnesses the generosity of our donors and our community into one powerful event. Donations made during this period are eligible for stretch funds from the Give Local stretch pool, for 24 hours only. Just click the DONATE NOW button between 6PM May 4th and 6PM May 5th to make your contribution! Visit our Projects page to see where your contribution goes. For other ways to support our bear conservation and education work, shop our merchandise. Or, even better, register for a field course in polar bear country to support bear conservation with a once-in-a-lifetime adventure among the polar bears! Thank you for supporting bear conservation! See our Archives for all past news.